Zakynthos | Boat Trips | Boat Rentals | Authentic Local Experiences: Kalamaki...an ideal family resort that features sea turtles, a safe and clean beach, great restaurants and entertainment for all ages. Kalamaki...an ideal family resort that features sea turtles, a safe and clean beach, great restaurants and entertainment for all ages. 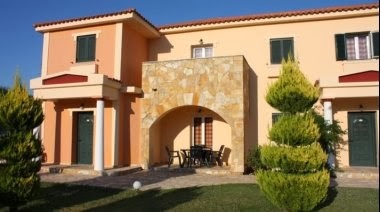 Kalamaki is located only 3km from the airport and 5km from the city of Zakynthos. It is also 3km away from the resort of Laganas. Buses run on a regular basis everyday connecting Kalamaki with Zakynthos city and Laganas. Moreover there are taxi ranks and many car hire companies giving you many options to move around the resort and the island. The beach of Kalamaki is part of the gulf of Laganas that is 9km long. It is sandy and the water is hot and shallow making it perfect for families with children. 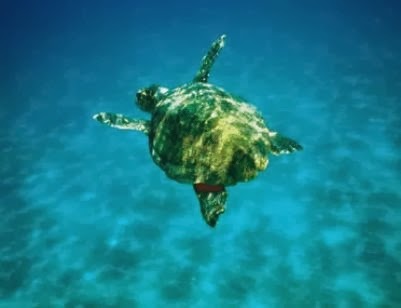 You need to have in mind that swimming and staying on the beach of Kalamaki is not allowed after the sunset and during the night because this is the time that the sea turtles use the beach in order to lay their eggs. This is the reason why you won’t find many bars and restaurants along the beach. Along the main road of Kalamaki though, there is a great variety of restaurants for all tastes, taverns, commercial stores and super markets and even a bakery shop that sells fresh homemade bread. 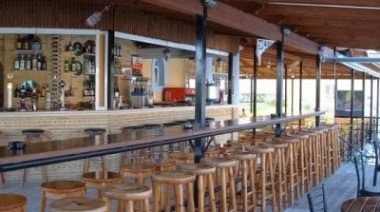 Kalamaki also offers quiet entertainment suitable for all the family in bars, sports bars and cafeterias. There is nothing that Kalamaki can’t offer you. A new, big water park, playgrounds and even horse riding facilities can only confirm that the resort is ideal for guests of all ages. Don’t miss a tour on one of the horse carriages that you can find in the center of the resort. This summer we rediscovered Zakynthos. We walk and drove around the island, we met interesting hospitable people-owners that respect their guests and we can recommend the best accommodation to you. 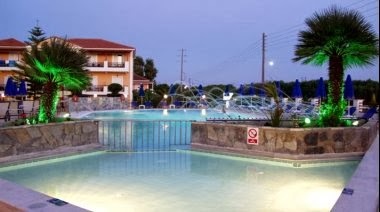 Dennis Inn Hotel is located only 200m from Kalamaki Beach in a quiet and peaceful area. It offers facilities for people with special needs and children along with breakfast buffet, restaurant, swimming pool and clean rooms. It is a really good value for money hotel. Facilities: Children's Playground, Safety Deposit Box, Restaurant by the pool, Pool snack bar, Swimming Pool, Bar, Restaurant (buffet), Rooms/Facilities for Disabled Guests, Continental breakfast buffet, Children's Swimming Pool, Table Tennis, Pool Table, Games Room, Wi-Fi Internet access in public areas at extra cost, Free private parking is possible on site (reservation is not needed). 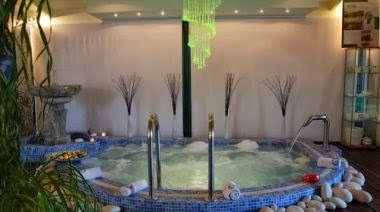 Average Price in May: 28€ per night in a Twin Room with BB. Average Price in August: 55€ per night in a Twin Room with BB. Two Brothers Studios and Apartments is a beautiful recently renovated (2012) accommodation where lively colors and distinctive decoration are combined in harmony in order to offer you a unique experience. 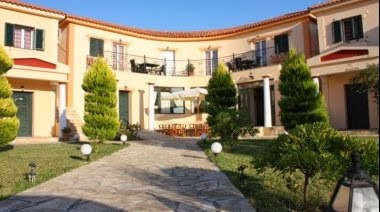 It is located in a quiet area in Kalamaki only 100 meters from the center of the resort. Facilities: Outdoor Swimming Pool, Garden, Air condition, Children's Swimming Pool, Pool snack bar, Pool table, Free Wi-fi Internet access in public areas, Free private parking is possible on site (reservation is not needed). A high standard hotel with unique decoration and aesthetics that are influenced by the owner’s temperament and character. 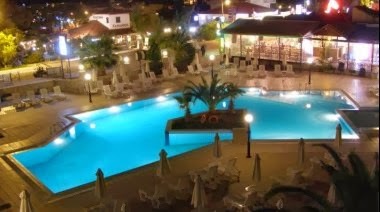 Louros Beach Hotel & Spa is an exceptional hotel that is located only 250m from the beach and it offers among others a swimming pool with a snack bar, facilities for children, beauty and care services for both face and body, an amazingly maintained garden. 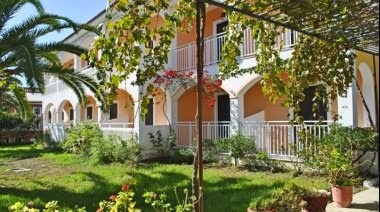 Animation, Wi-Fi Internet access in public areas and in the rooms at extra cost, Free Parking close by. 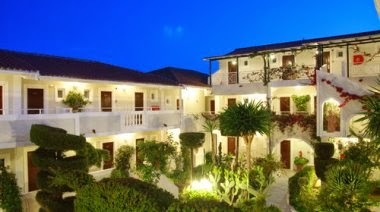 Cronulla Hotel is situated right in the center of the resort of Kalamaki, 700m from the beach and it is a family run hotel where the owners are always present in order to guarantee a memorable stay. 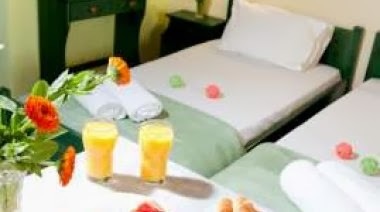 It offers spacious and comfortable rooms, a huge, clean and safe swimming pool and a snack bar famous for the quality of entertainment and the snacks that are served. Facilities: Children's Swimming Pool, Children's Playground, Snack Bar, Swimming Pool, ATM/Cash Machine on site, Bar, Free sun beds, Massage, Library, Pool Table, Free Wi-fi Internet access in public areas, Free private parking is possible on site (reservation is not needed). If you are looking for a small accommodation with perfectly maintained exteriors, spacious rooms with furnitures of high quality and functionality, friendly, smiling and hospitable people in a relaxing environment, Elanthi Hotel is ideal for you. 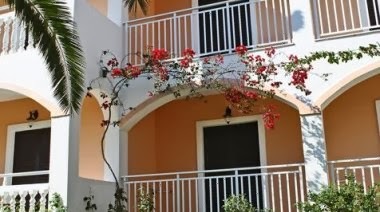 Facilities: Garden, 16-hour reception, Swimming Pool near by, Free Wi-fi Internet access in public areas, Free private parking is possible on site (reservation is not needed). 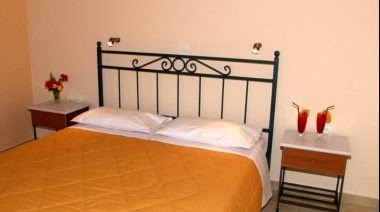 Average Price in May: 20€ per night in a Studio for 2 Adults. Average Price in August: 45€ per night in a Studio for 2 Adults. 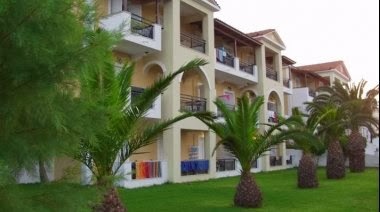 Dennis Studios & Apartments is located right in the center of Kalamaki. Therefore you can take full advantage of the facilities of the resort such as restaurants, bars, supermarkets and the water park of the area. All of them are within are short walking distance from the accommodation. Dennis Studios & Apartments offers a quiet and well maintained environment, clean rooms, basic facilities and a beautiful garden that promises relaxing and peaceful holidays. The beach of Kalamaki is only 400m away. Facilities: Garden, Family Rooms, Non Smoking Rooms, Souvenirs/Gift Shop, Mini market, Quiet and relaxing, Swimming Pool near by, Free Parking near by. 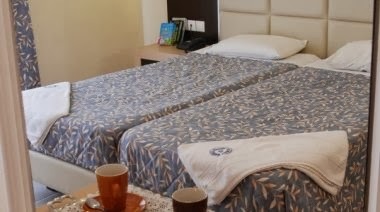 Average Price in August: 30€ per night in a Studio for 2 Adults.